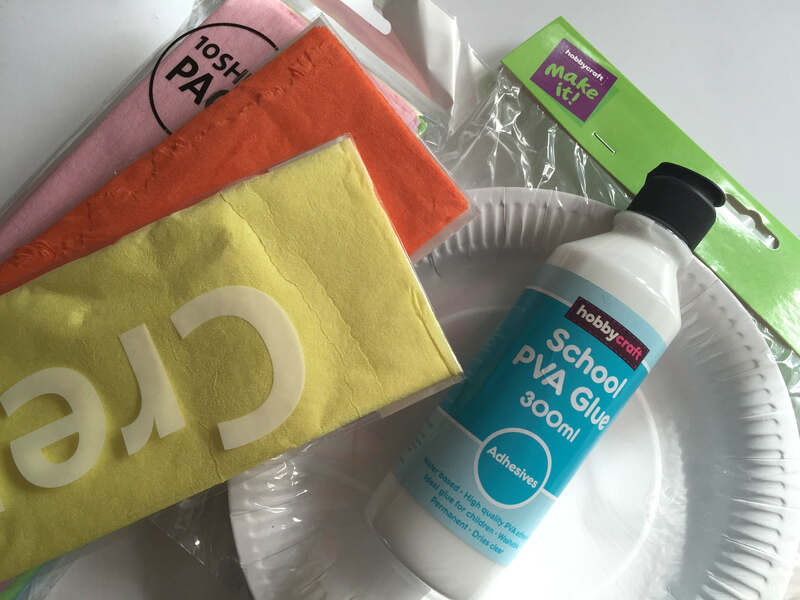 A couple of weeks ago Hobbycraft sent me some craft supplies which included a really colourful pack of tissue paper in beautiful Spring colours. 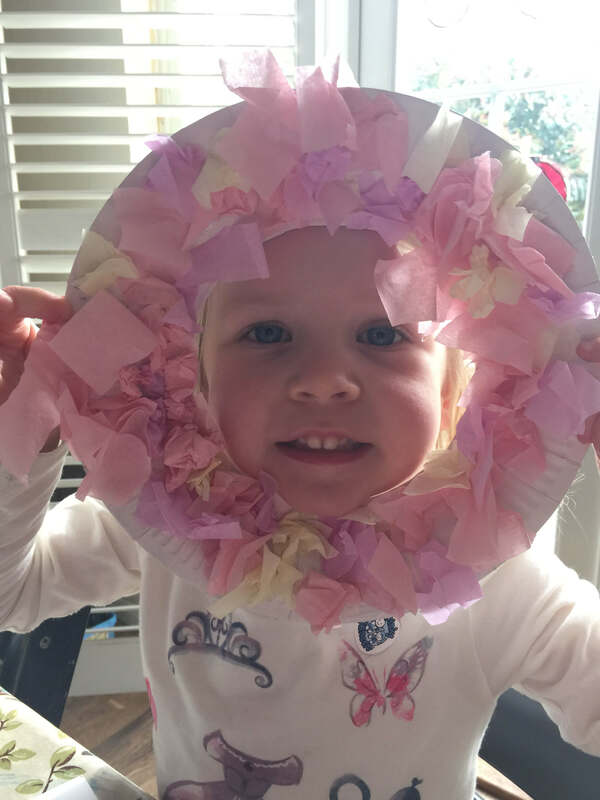 I’ve been wondering what to make with them and today my daughter decided to create a tissue paper wreath, just like pretty blossom and perfect for Spring. We had fun trying something new, so we thought we’d share the steps with you. 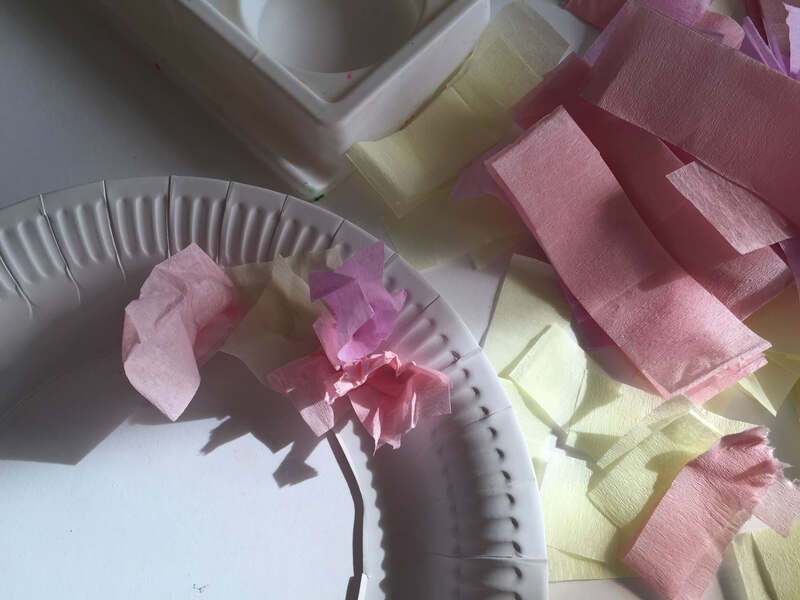 You won’t need much equipment – tissue paper, scissors, PVA glue and a paper plate. I cut the centre out of the paper plate, cut the tissue paper into small squares and poured some glue into a small container. 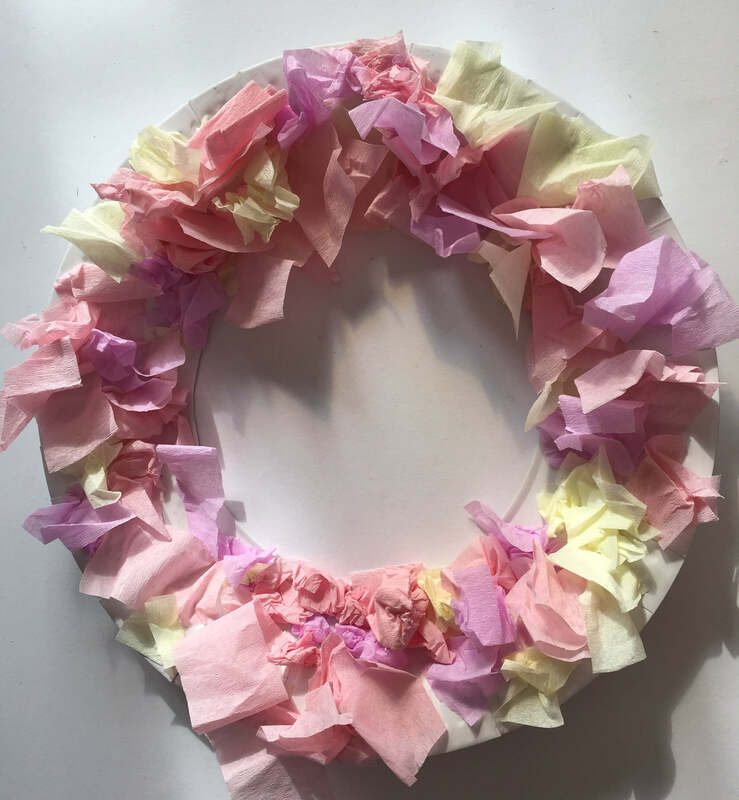 My daughter covered the paper wreath in glue and then, I think the technical term is scrunched, pieces of tissue paper and stuck them on the wreath. She did this until the whole wreath was covered. She was pretty pleased with her tissue paper wreath. I love the colours and I think it will look really pretty hung on our front door. 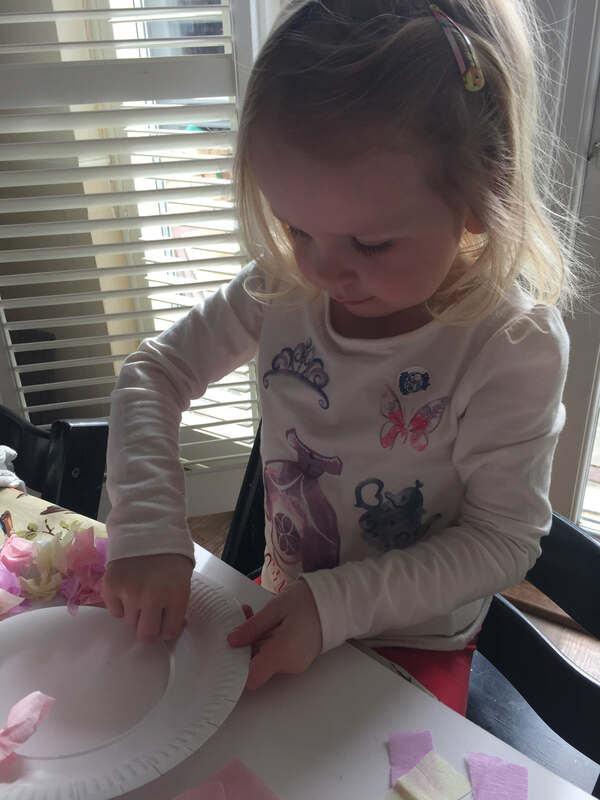 a great little craft for kids, thanks so much for sharing on craft schooling Sunday! Could use the same idea without cutting out the middle to make a lion or a fun flower! Hello! Stopping by from Creative Jewish Mom’s link party. This is so adorable and is such a great activity for kids! I am going to try it with my niece! Thank you for sharing! VERY PRETTY!!! LOVE, LOVE, LOVE!!! This is so adorable. 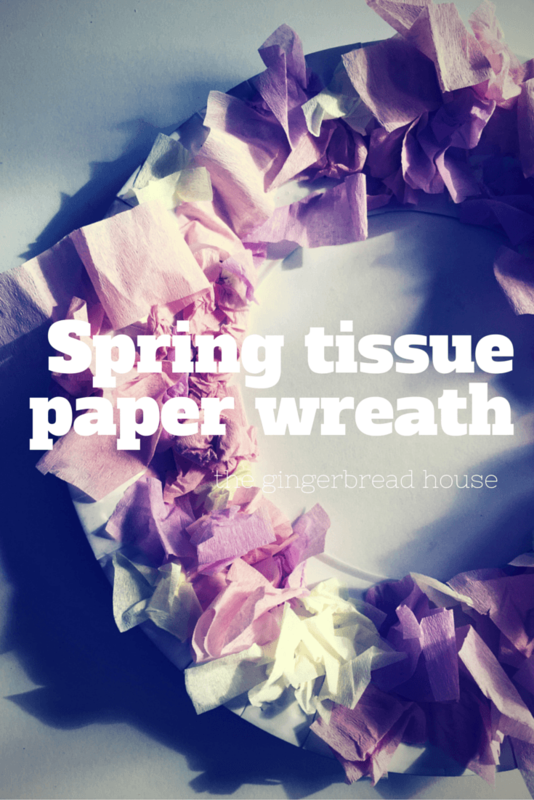 I love tissue paper for craft projects and this wreath just turned out beautiful. Love the pastel colours! This is such a cute idea! I love that it’s easy enough for toddlers/preschoolers to do! Thanks for sharing at the Easter Crafts & Games link up by Kidz Activities. I’ll be featuring this and sharing on Facebook/Pinterest.